TURNKEY, SINGLE LEVEL, 4 BEDROOM, POOL HOME. Found in one of Mission Viejo's most sought after communities. This impressive home has been perfectly remodeled, maintained and is move in ready. Upon entering the home the solid hardwood floors lead you from the spacious entry way and on through to the warm and inviting family room. The family room features a fireplace, sliding doors to the outside oasis and high vaulted ceilings that add great depth to the home. Beyond the family room is a newly remodeled kitchen with all new cabinets, decorative tile and granite countertops. Off the kitchen the welcoming dining area is perfectly set. The large master bedroom features a walk in closet and remodeled bathroom. 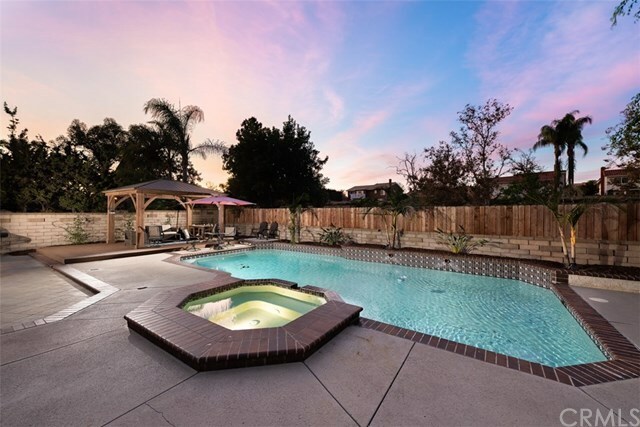 The private back yard is the cherry on top and features an oversized lot with large pool, spa, cabana and firepit: all perfect for entertaining and for family fun. A generous two car garage with attic space provides ample storage. With Aurora Park is just around the corner and Mission Viejo Lake just is a short stroll away this home is not to be missed!